Sam Smolik has had a 40+ year career in global executive leadership positions at The Dow Chemical Company, Royal Dutch Shell, and LyondellBasell. He specializes in manufacturing, environmental, health, safety, security, operational excellence, and sustainable development leadership roles. 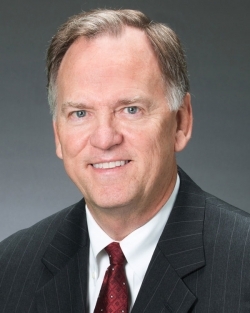 He retired in 2017 and currently serves on the Board of Directors of Evergreen North America Industrial Services and Axalta Coating Systems (NYSE: AXTA). He also serves on the Board of Directors of Ducks Unlimited Mexico, The Antwerp International School Foundation, and is an active member of the National Association of Corporate Directors. Sam has a Bachelor of Science Degree in Chemical Engineering from The University of Texas at Austin.